Below you will find a link to the mobile edition of the most recent edition of Experience Kananaskis Country and the Cowboy Trail. We hope you enjoy this annual visitor’s guide to the unique blend of western and mountain cultures that co-exist in the foothills of Alberta, along the eastern slopes of the Canadian Rocky Mountains. We’ve been big fans of The Cowboy Trail Tourism Association since 2007, when they helped us organize our 6-day Maverick’s Getaway to Southern Alberta. The Director at that time hosted our contest winner, Della Fraser of Edmonton and Lori, her travelling companion. After seeing the Mavericks Exhibit at the Glenbow Museum in Calgary, they stayed on a working ranch in the Porcupine Hills, before attending the Bar U Ranch Rodeo. Similarly, our working relationship with Alberta Parks started about 6 years ago, when they contracted our services to assist them with the production of Explore Kananaskis Country & the Ghost Area. Working with Alberta Parks on this project was a perfect fit for us at that time. In 2005, we launched Experience the Mountain Parks, a visitor’s guide to the mountain national parks of western Canada. If you are familiar with our brand you will recognize the similarities between it and Experience Kananaskis Country & the Cowboy Trail. In addition to the size of the page and the bold yellow and black header, we’ve included maps, and more maps: everyone loves maps. But we’re just as proud of our compelling stories that detail the rich history of the western and mountain cultures that surround you. We don’t just tell you where to go. You also want to know how to get there and what your family will be able to experience along the way! The Cowboy Trail is more than 600 km long, from Cardston in the south, to Mayerthorpe in the north. Numerous communities are located on or near the trail. Each offers their own mix of merchants and artisans, but they all have one thing in common – these businesses are operated by friendly folks who are eager to help you and make you feel at home, in theirs. So take your time, unplug, and take a long refreshing drink of old-fashioned, authentic, western hospitality. With two issues off the press, we are now working on our 2015 issue. We are increasing the print run so we can serve more travellers and Alberta residents. Some of the stories we are working on include the Naming of the Mountain Peaks in Peter Lougheed Provincial Park, more Characters from the Trail, a Campground Directory, the Impact of the 2013 Flood, as well as a feature on Chain Lakes Provincial Park. 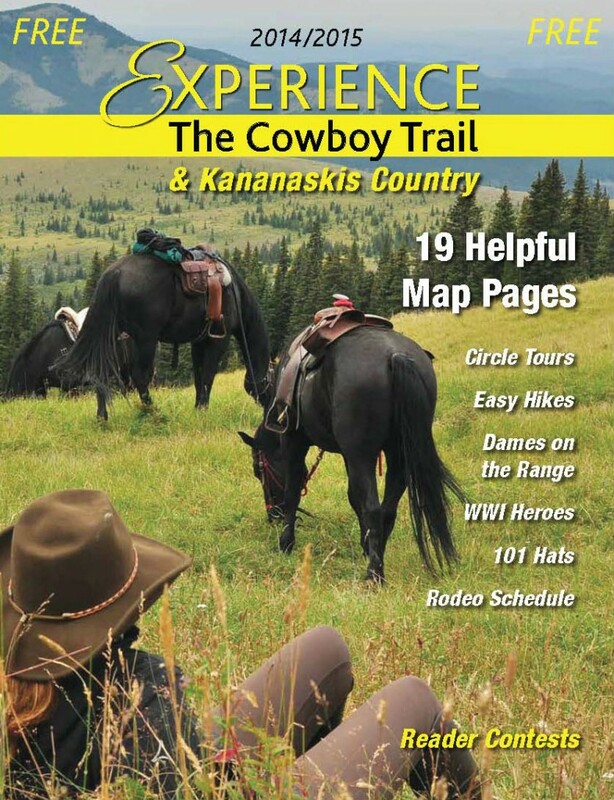 Here then is a link to the mobile edition of the 2014 Issue of Experience Kananaskis Country & the Cowboy Trail. 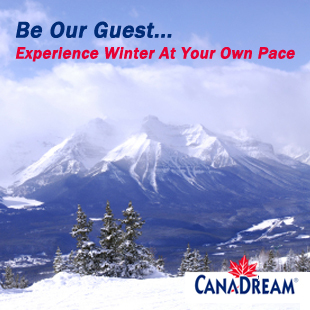 Use it to enhance your year-round enjoyment of the eastern slopes of the Canadian Rockies. Feel free to share it with your friends and family and feel free to submit your story ideas. We’d love to hear from you and we are truly honoured to be of service.